It’s important to find the most effective air conditioner for your house. You don’t want or need something too powerful, as this will waste energy you don’t need to use. The same goes for not being powerful enough, as it’ll take forever to cool your home and take a toll on your electric bill. 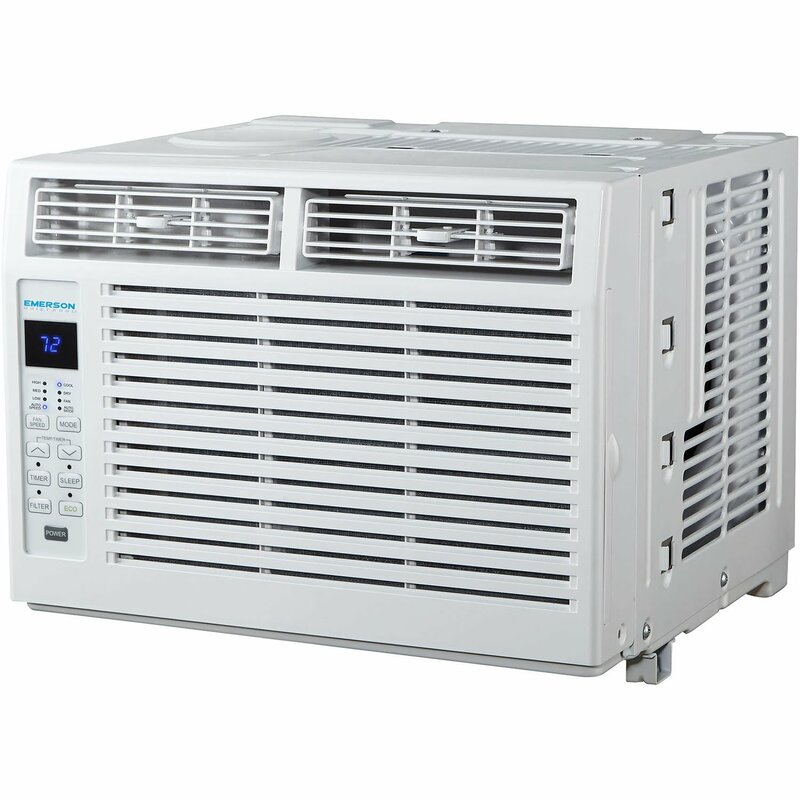 You want something that is just right and in the following article, we will describe what a 5000 BTU air conditioner is best used for and the many benefits of the various models on the market. When choosing your next air conditioner, you need to know if it’s right for you and your home. Before buying a new unit, you’ll need to ask yourself a few questions and understand the various features on offer. The efficiency is a huge deal when it comes to these products, you’ll want every watt of energy used to be utilized in the best way possible. 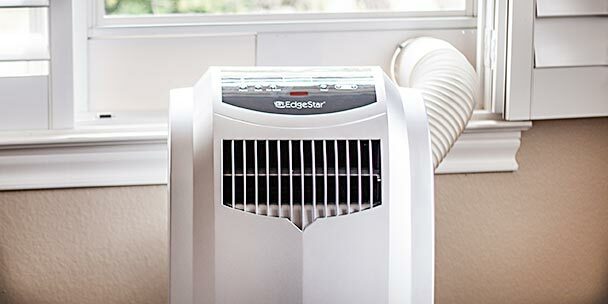 You’ll want your A/C unit to have an EER rating of 9.4 or more. The higher the rating, the more efficient the unit is at handling the energy. There are a few differences between the window and portable units. To start with, the window units are usually the more efficient types as they’re connected to the outside and can maximize the amount of cool air they can use, without the need for hoses for intake or exhaust. The portable unit will require either a single or dual hose system. The main attraction for people is that it can easily be moved around to different rooms. These models are usually less effective at cooling your home than the window based units. Depending on the BTUs of your A/C, your unit will be able to cool a certain area of your house. In this case, the 5000 BTU rating will be able to cover a 150-200 sq ft area within your home. This area coverage is one of the least coverage you could get from any A/C on the market. This isn’t necessarily a bad thing, you might only need to cool a smaller portion of your house. However, there are units on the market that can cool an area up to 700 sq ft or more. You’ll find on many of the units we mention that there will be plenty of additional features included to make their product more attractive to customers. A few added benefits include things like a built-in dehumidifier; timer, and fan speed settings. You should always get a remote control, and it would be a surprise if this wasn’t included. You will also find the higher quality products can also heat and circulate air with a fan inside your house. The most important section of our review is the part we discuss in detail the products we think are worthy to be regarded as some of the best on the market. The following products are well-researched and deserve to be on this list because of their features and qualities. This product was voted as the best window unit currently on the market. It has the ability to cool down an area up to 150 sq. ft. and you’ll be sure to get the most powerful cooled air as window units are always more powerful. Along with the powerful compressor, the device also has the ability to dehumidify the air around you. Up to 1.1 pints of water can be extracted every hour to help dehumidify the air. All that power coming from one device will make you think you’re using up a lot of energy. Well, this device is rated with an 11.1 EER rating which is an incredible level of energy efficiency. There are multiple controls that you can customize such as the multiple cooling and fan speeds. Typically, these settings are known to be loud on other devices. However, they’re more or less silent with this window A/C. Without a doubt, this is the best on this list and we feel like it’s the best currently on the market. Being able to cool up to 150 sq. ft. within a short period of time is a great achievement. It might not seem like a lot, but for a 5000 BTU A/C, it’s more than decent. 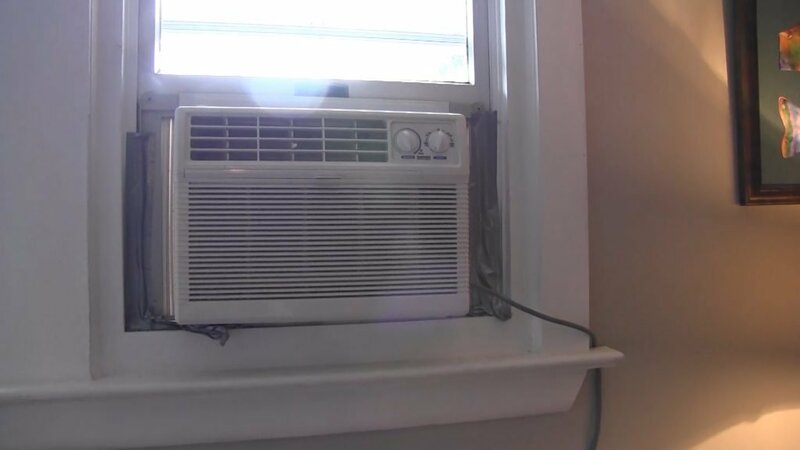 The reason this unit can provide such powerful cooling is that it’s a window unit that can draw in more cool air from the outside rather than using a portable hose. The dehumidifier can also help with clearing out any stale and damp air from the environment. This air usually makes it hard for people to breathe or even get comfortable at night, so this is a huge benefit. The EER of 11.1 is also an amazing feature that will use all of your energy in the most efficient way possible. The only downside of this product is that it can’t be moved around as a portable unit can without some heavy lifting. The other downside is that the dehumidifier has to be manually emptied. Our runner-up window A/C is a strong competitor for that top spot but only just missed out. Providing cool air coverage of up to 150 sq. ft., this product will cool the temperature of any room within a small period thanks to the powerful benefits of using a window unit. You’ll not only receive the air conditioner, but you’ll get a full mounting kit that includes support brackets, leaf guards, and a window seal foam to ensure a drip-free experience. The seven different temperature settings would usually make a great deal of noise with any other product. However, this unit is more or less noise-free. The speeds of the fan can also be adjusted. These settings allow the room that it is in to have a rapid temperature decline within 15 minutes or less. Not only does it cool the area around you but will clean out the air with its easy to clean, eco-friendly filter. There are a few benefits with this unit, the most useful being it can cool an area within 15 minutes, which is an outstanding achievement. Something that’s not usually included with the product is the full window support kit that contains products like a leaf guard and window seal foam, as well as the bracket itself. Most of the time you’d have to buy these separately. There are also multiple different temperatures and fan settings that will allow you to control how cool your room gets and how fast it works. With all this air being circulated, it would be helpful to ensure it’s clean.Tthankfully, the eco-friendly filter will do exactly that, along with the reusable filter can easily be cleaned with just hot soapy water. The only downside with this unit is that there’s no dehumidifier that can absorb all of that hot, damp air that keeps you up at night. 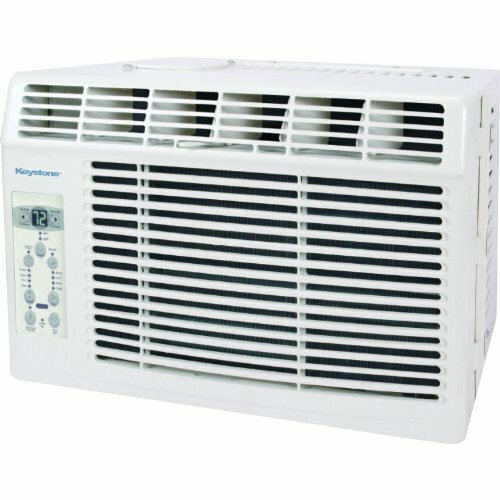 Without a doubt, one of the most efficient air conditioners currently out on the market, with an EER of 12.2. This product will save you an incredible amount of power and money. Covering up to 150 sq. ft., this device will cool any air within this area in 15 minutes or less. The power and efficiency are thanks to the window unit getting most of its cool air by pulling it in from the outside. A handy feature for anyone with an A/C is that you can set a timer for how long you want the product to operate, such as throughout the night to keep you cool and comfortable. Your comfort is important and will be ensured with help from the dehumidifier that can extract up to 1.1 pints of liquid per hour, meaning no more restless warm nights. The four-way airflow will ensure that your room is cooled evenly. This is, without a doubt, one of the most efficient units we’ve mentioned up to this point, with a rating of 12.2 EER, and is one of the most impressive features of this device. The usual features like the dehumidifier are the next talking points, as they can dehumidify the warm, damp air and extract up to 1.1 pints of fluid per hour. An area of 150 sq. 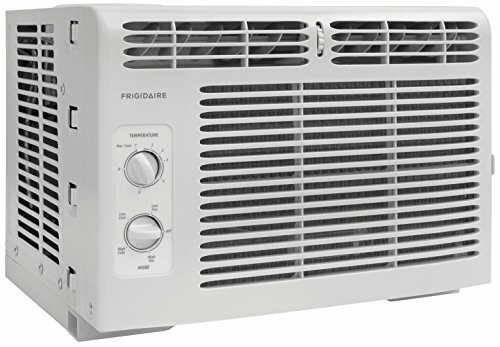 ft. can be cooled within a 15-minute timeframe, which is impressive and probably the fastest a 5000 BTU A/C will be able to work, mainly because it is a window unit. The timer is another helpful function that allows for extra convenience as you choose how long the A/C operates for. The only downsides are that the unit overheats easily when you select a faster fan mode. Another burden is that the dehumidifier has to be emptied manually every day so that it continues to operate properly. Cooling an area up to 150 sq. ft., this device will have all you need to rapidly cool your room within 15 minutes of it turning on. Not only does it bring cool air from the outside into your room but it cleans out the air it uses by sifting it through the easy-clean filter. Along with clean and powerful cool air, you’ll have the chance to dehumidify any warm and damp environments as the built-in dehumidifier can extract 1.3 pints of liquid every hour. There are plenty of added extras like the timer feature and the auto-restart that will continue each customized setting from where it left off. Other features include sleeper mode and an energy saving mode that boasts an EER of 11.2. All of these settings can be controlled via remote control. One of the most impressive settings is the temperature control, which can be adjusted to your preferred temperature. There are plenty of features on this unit. Considering it was voted our most budget-friendly, that usually means the quality decreases, when, in fact, this product maintains that quality at most points. This device is reliable when you want something that’s energy efficient, as it has a rating of 11.2, meaning you’ll save money and energy in the long run. The plethora of features like the timer, sleep mode, and temperature control can all be customized and operated via the remote control. This combination just spells convenience. By providing most of the cool air from the outside, the air filter will ensure your family will benefit from clean air, which is easily cleaned with just hot, soapy water. One of the only downsides to this product is that the dehumidifier doesn’t have a continuous drain feature, so will need to be emptied manually. The other downside is that it has a decibel rating of 62 which means it’s noisy. Like any other 5000 BTU unit, this A/C can offer cooling coverage for up to 150 sq. ft. The best part about this product is that it offers you a noise-free experience thanks to the smart design of the compressor and motor. With the order, you’ll receive a complete kit full of products to help successfully mount your unit in the window, including a foam sealant and window bracket. The outside air will provide your family with fast, cool air, however, you’ll need something to ensure it’s clean, which is where the air-filter comes in handy. The filter will remove any bad odors and particles from the air. The multiple modes and settings can be controlled via the smart panel or the remote control. 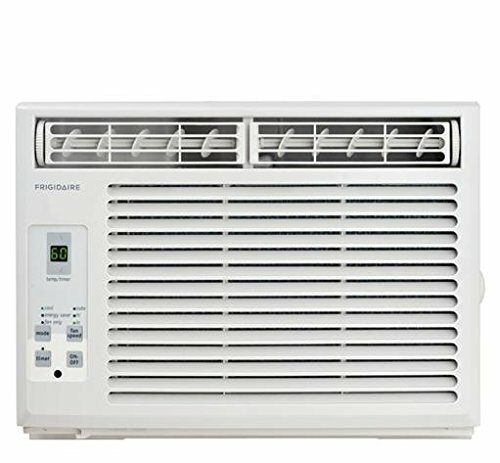 These modes include an eco-mode, sleeper mode, and three-in-one function which includes cooling, moisture removal, and a fan mode. The many benefits of this product are exceptional. However, the main advantage is that you will experience almost no noise when in use. The three-in-one capability is also something a lot of other units don’t offer. This ability is great for any situation, making this product versatile. Not only do you get the device, but you’ll also receive the full window kit, making it easy to install with all the parts being available right when you receive it. The many different modes, like the eco-mode and sleeper mode, are great features that should be on every air conditioner. These can be controlled via the remote control, making it even more convenient for everyone. The only downside is that the dehumidifier doesn’t have a continuous drain option, meaning you’ll need to constantly empty it. All the air conditioners currently on the market have a lot of similarities and more or less contain the same special features and modes as each other. 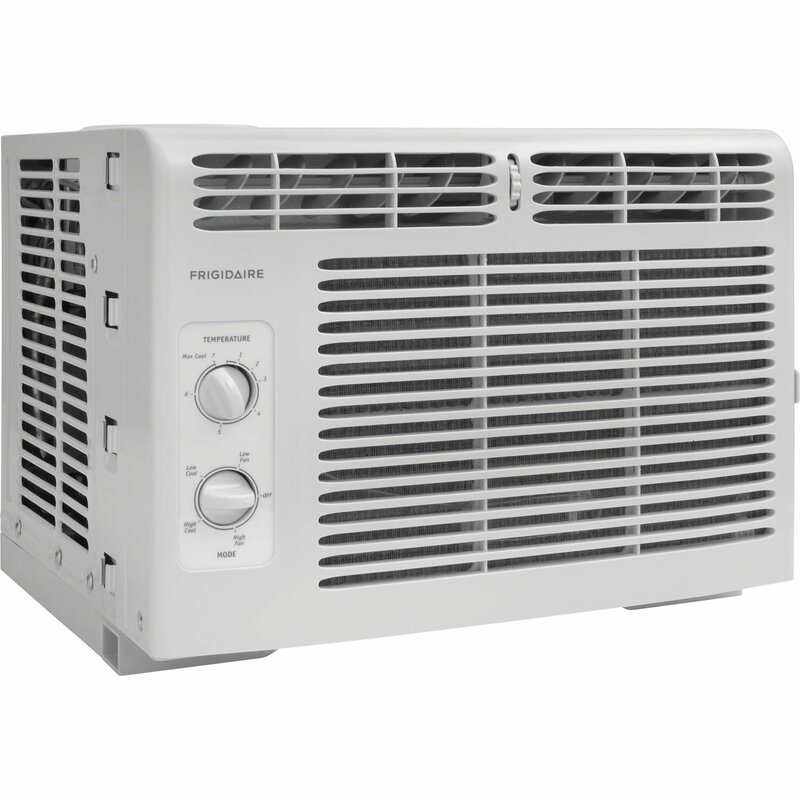 We hope this article has been able to help guide you in finding the best 5000 BTU air conditioner on the market, and that it’s been a learning experience for you. This section is for anyone that needs their questions answered on certain aspects in the air conditioning market. All of the most asked questions have been compiled and answered to the best of our ability. We hope this helps. 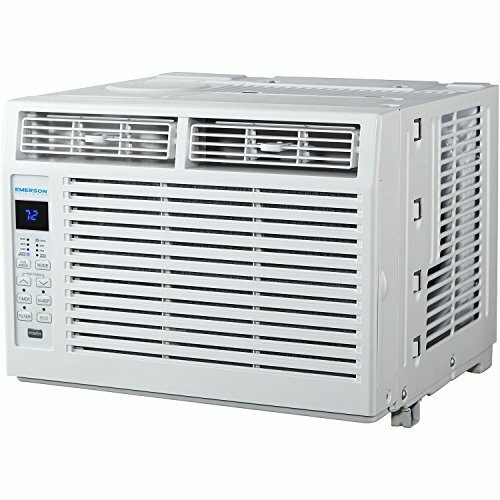 How Much Space Does a 5,000 BTU Air Conditioner Cool? The BTU level will have a say on how much area your unit can cover with cool air. For the usual 5000 BTU air conditioner, it should be able to cover an area of 150-200 sq. ft. with ease. 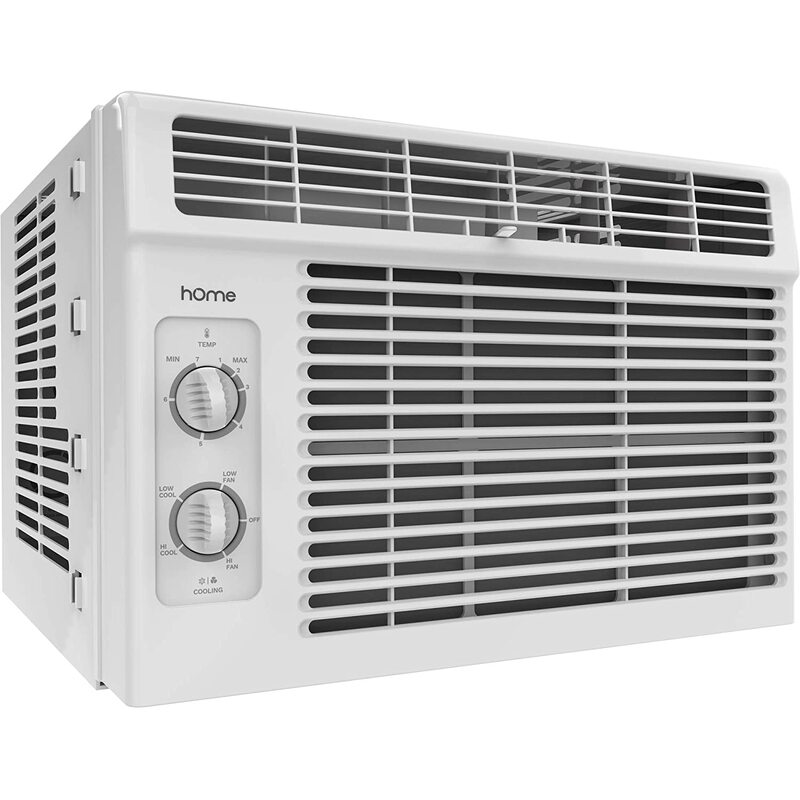 Can I Save Energy With a 5,000 BTU Air Conditioner? You’ll soon realize that most A/C units will have something called an EER rating. This rating is a level that describes how energy efficient your unit is. The higher the rating, the more energy friendly it is. This doesn’t necessarily save energy but just maximizes the potential of all the energy used. However, by using a 5000 BTU A/C rather than something more powerful to cool down a small room or home, this, in theory, does save you energy. How Big of a Generator Do I Need to Run a 5000 BTU Air Conditioner? Your air conditioner can run on a 150V circuit. In order to get it up and running and keep it running, you’ll need to have a generator that has a startup surge of 3000 watts and a continuous power outage of around 1800 watts. How Many Watts Does a 5000 BTU Air Conditioner Use? 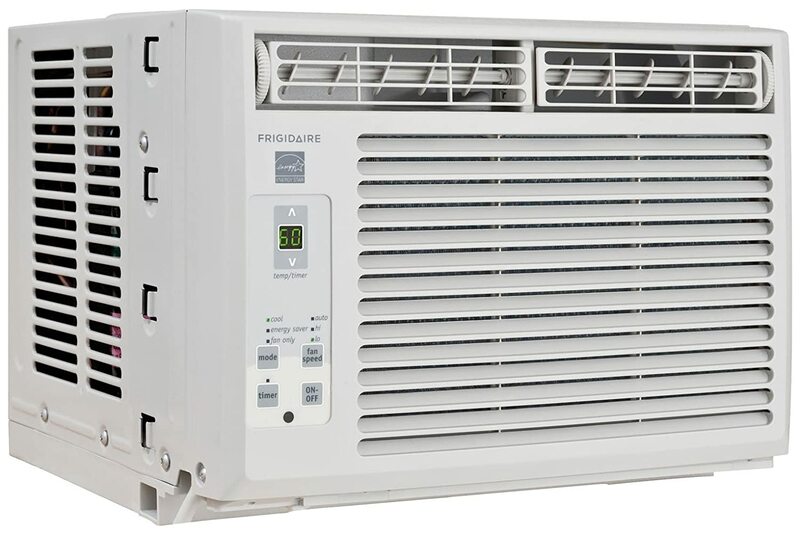 Most 5000 BTU air conditioners would have at least five amps, and when plugged into their required 110V outlet, it should be able to use up to 550 watts of energy. How Many Amps Does a 5000 BTU Air Conditioner Use? 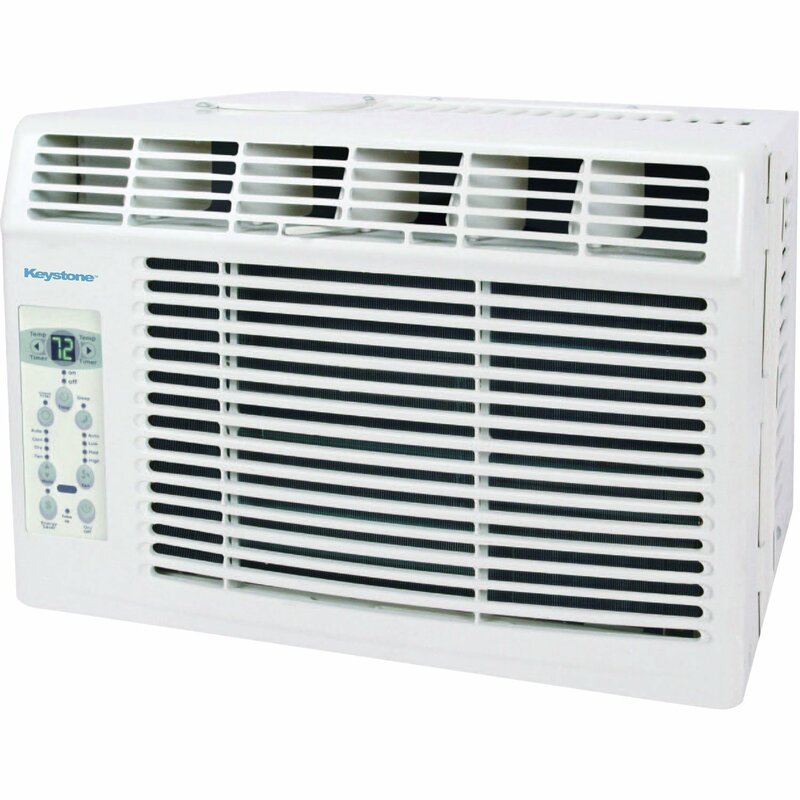 Like we mentioned previously, the standard 5000 BTU air conditioner uses at least five amps. Which means that your watt usage will be roughly 550 watts.